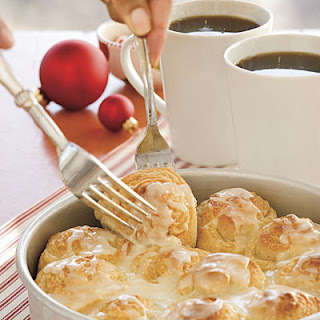 During the holidays, Southern Living had these beautiful rolls in their magazine. I decided to try them. Yes, it is dark outside!!! I was trying to beat everyone up. Beat at medium speed with an electric mixer until smooth. 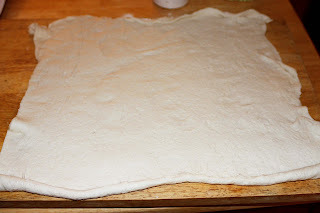 Unroll 1 can refrigerated French bread dough onto a lightly floured surface. 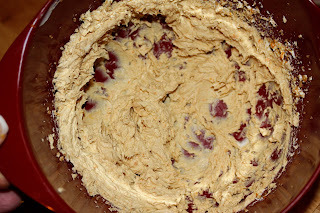 Spread cream cheese mixture over dough, leaving a 1⁄4-inch border. 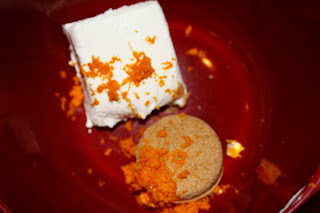 Sprinkle with 2 Tbsp. granulated sugar. 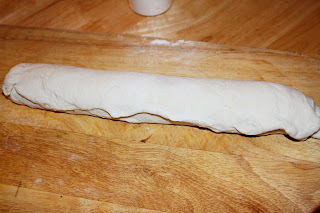 Gently roll up dough, starting at 1 long side. Cut into 11 (11⁄4-inch) slices. Place slices in a lightly greased 8-inch round cake pan. 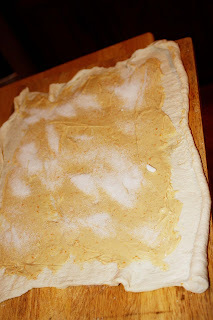 Brush top of dough with 1 Tbsp. melted butter. Bake 25 to 30 minutes or until golden. Stir together 1⁄2 cup powdered sugar and 1 Tbsp. 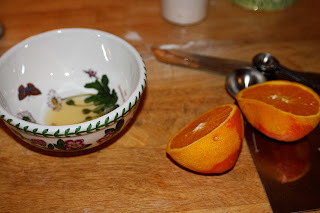 orange juice in a small bowl and drizzle on top. Now it would be great if I had continued to take pictures but guess what, I forgot to take a picture. I guess, I was hungry. 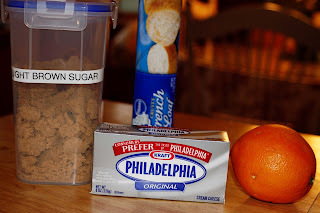 I liked them and think you could make some great variations; Cream cheese, sugar and pecans, butter, sugar and cinnamon for an easy classic cinnamon roll and maybe even change the orange to lemon. I am going to try to put strawberry jam in the french bread, cut into 1 1/2 inch pieces, brush with butter and sprinkle with sugar this weekend. I will let you know how it turns out. Dangit. 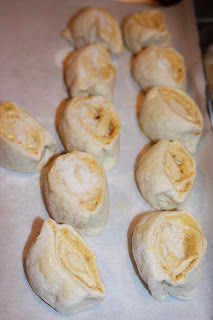 I wish I had some french bread dough just lying around -- I'd so make that this morning. And the sugar and pecans one sounds amazing. May be I'll have to get some dough today while I'm out -- you know to make tomorrow morning for Victor and Tish and the boys. Thanks again, for that perfect timing! Yum! You will make me into a cook yet! Those look SO YUMMY! I'll have to try these, thanks for sharing! How badly do I want to make these for my kids RIGHT NOW??? BUT I don't have that French bread in the refrig...and I usually have it!! Oh well, it looks very easy and delicious. I'm printing it out now!!! Thanks! Those look yummy and so easy. Gonna have to try those. The idea with the strawberry jame sounds wonderful!